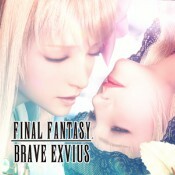 FINAL FANTASY BRAVE EXVIUS v2.2.0 Mod apk for Android. Send units on quests for epic rewards! Get amazing bonuses from lapis and cash bundle purchases! Social sharing from the summon screen. Finally got the unit you wanted? Spread the cheer! Target dummy in Vortex map. “Add friend” button is disabled if friend slots are full. Don’t know it works well or not, if not, will keep trying to mod it until it crashes. lol…at least to show you guys we are not giving up on this game. Thank you for your support. * Does not work on emulator. The mod was made for doing Maxwell. Highly recommend bring a healer and some phoenix because some of his skill does fixed dmg. Special mod works and to fight maxwell : first install special mod enter to the vortex to fight maxwell, Fill the limit gauge and esper, invoke diabolos. Close the application, install v3 mode and open the application use limite to one shot maxwell. Enjoy ! New Fixed: The mod DOES NOT work well in the arena, but seems to make most monsters go down pretty quick, even “boss” ones like the five thieves you fight early in the game. Important NOTE: This mod (or this game itself) not working on Android emulator, Don’t download, if you want to play this mod on emu. * Does not work on emulator. * Works in Arena as well. Hi I just wanted to confirm if the mod for this game is being worked on, just curious because it feels like not much is happening.